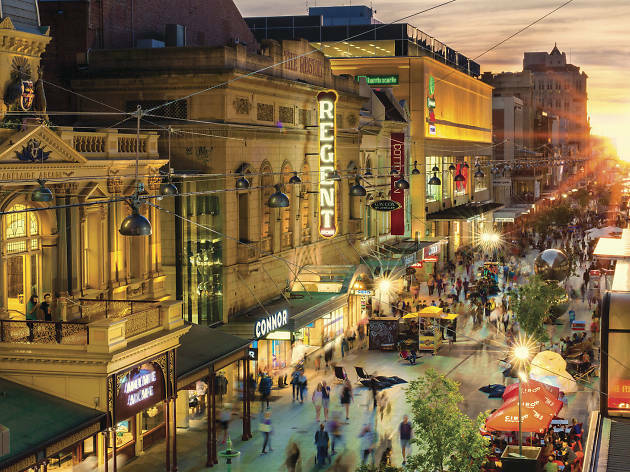 It might have earned the nickname ‘City of Churches’, but Adelaide is seriously hip these days, home to some of the most exciting restaurants, wine-makers, providores and cultural festivals. In 2017, the city was proclaimed fifth most ‘liveable’ city in the world – for the sixth year in a row – by The Economist. Short of moving there, we’d suggest a holiday. Find more short getaways from Sydney, plus a how to spend a weekend in the Whitsundays, Port Douglas or Narooma. 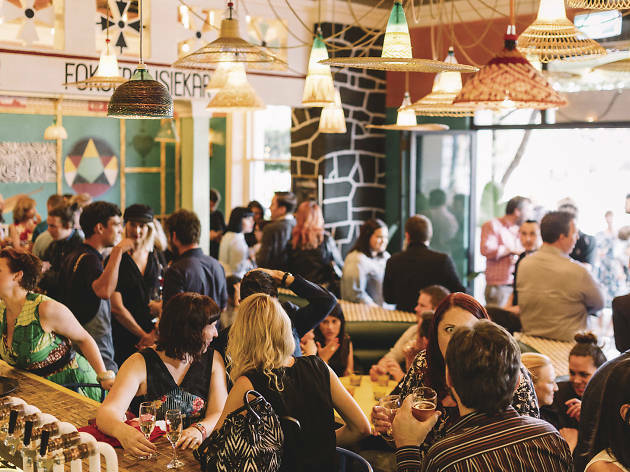 If you’re looking for an experience, head to Africola for their pan-African flavour party, pull up a seat at the open kitchen's flaming hearth, and watch Duncan Welgemoed and his team play with fire. Some dishes are richer than a Nigerian prince – the crustless, white bread chicken skin sandwich with a dripping-dipping sauce will take years off your life – but they're also doing interesting things with veggies here. Just be prepared for strong flavours and spice. We recommend the Feed Me menu ($65) with matching booze ($45). It's more-than more than generous, and if you're having trouble fitting it all in, they'll serve you shots of whiskey to help digest. 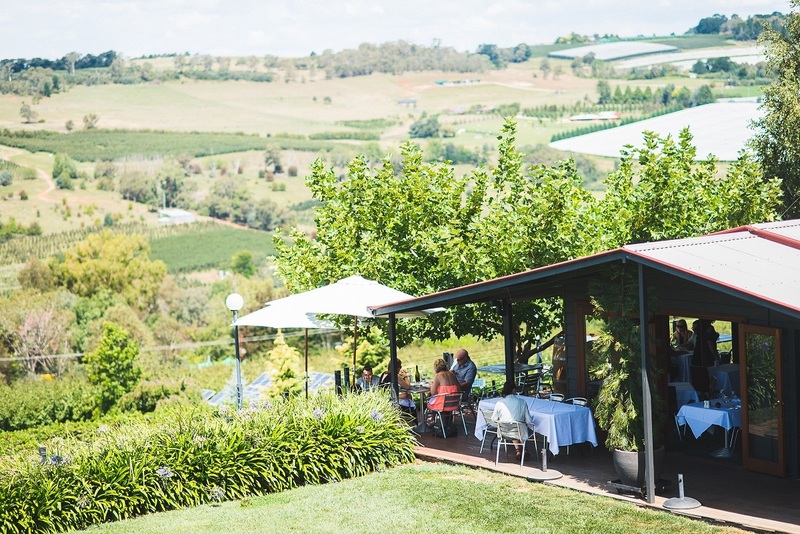 At the opposite end of the palate is Orana, where everything from the decor to the degustation is delicate. Chef and owner Jock Zonfrillo’s tasting menu stretches to 20 courses, with fresh seafood and native Australian ingredients taking a star turn. We visited for the more modest Friday lunch (nine courses), and were served tiny dampers cooked over even tinier coals in a cast iron pan at the table; a salty, subtle chilled consommé of clams, tomato and ice plant; and perfectly rare kangaroo with a charred exterior served with tart native berries. Keep things purely spiritual and very chill at inner-city spot Hains & Co, where the expertise is whisky and gin, and where on the afternoon we visited, a fine mist of water was dispersed from ceiling ducts over the tables outside – bliss on a 35° day. For late-night whimsy, head to the petite Pink Moon Saloon, and head out back for a bar that channels the aesthetic of a Swedish dolls house. The cocktails are well balanced, and the soundtrack, spiked with cheesy ’80s power ballads, keeps the vibe well and truly alive. For an unbeatable view and wine list, head eight floors above street level to the terrace of 2KW – and make sure you’re dressed to impress. Take in the sunset view towards the River Torrens and a glass of something local. For bespoke luxury, you can’t go past the Mayfair; this swish, five-star boutique hotel has become the preferred choice of visiting rock stars and celebrities since opening in 2015, and it's not hard to see why: custom made mattresses, Apelles Apothecary toiletries, and a “signature scent” inspired by Chanel perfume. 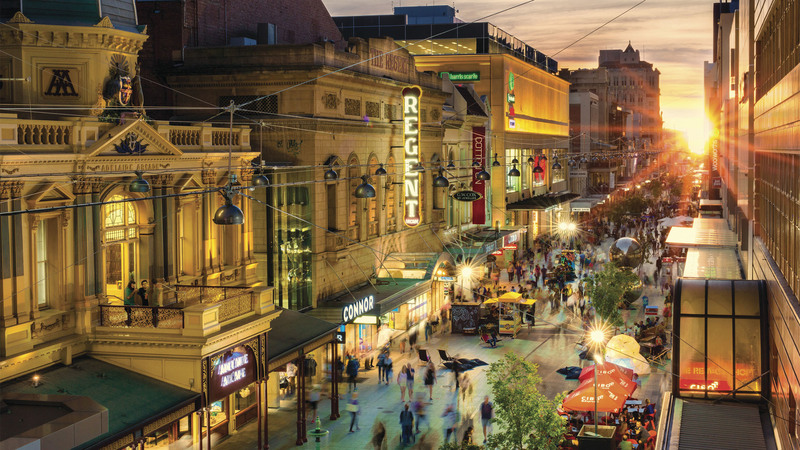 Located in the centre of the CBD where shopping strip Rundle Mall meets bar and dining strip Hindley Street, and just a short walk from Adelaide's cultural boulevard North Terrace, it's perfectly situated for exploring the city on foot. At the end of the day, head to the Hennessy rooftop bar (named for the original architect of the 1930s heritage listed building) and try a Honey Trap cocktail – it's made with honey collected from the hotel's own rooftop hives of Ligurian bees. 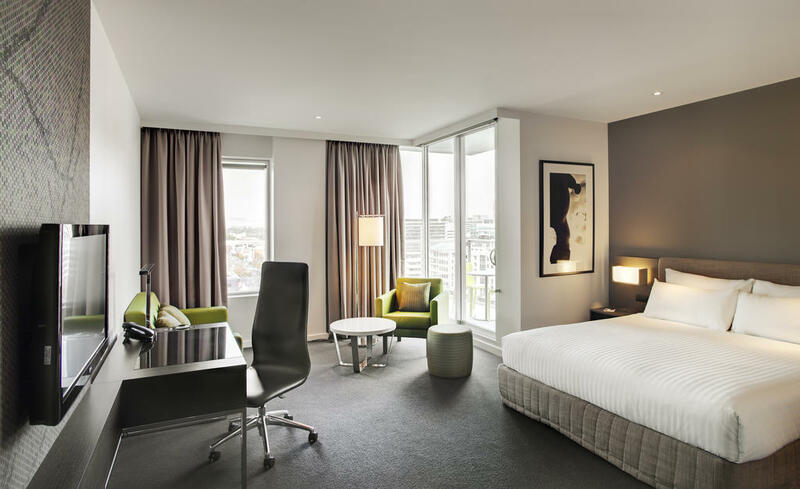 If you’re after something a step down in price, the Crowne Plaza Adelaide, just a few blocks down, is a perfect base for city explorers or business travellers. 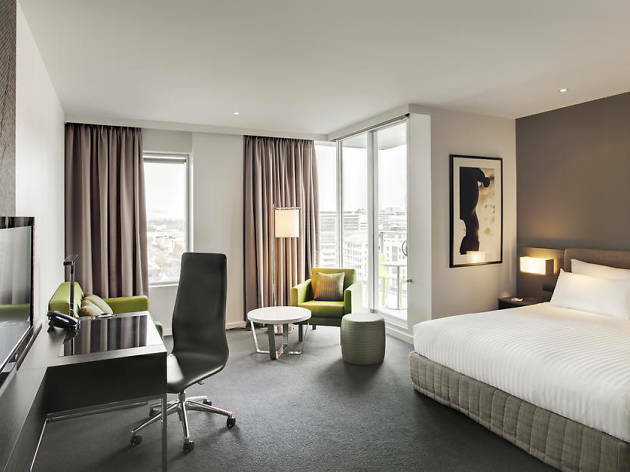 The contemporary rooms range from standard to suite, some with balcony, and feature plush bedding, luxurious bathrooms with full sized baths and walk-in showers, and iPod docks, while the hotel also boasts a health centre with gym, pool, spa and sauna and a 24-hour self-service laundry for guests. 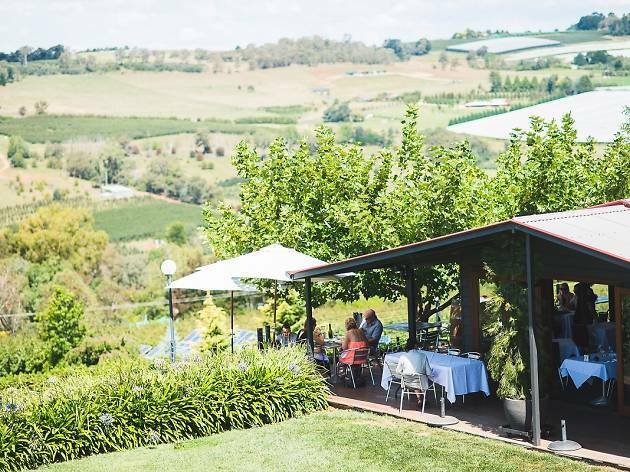 We spent a dreamy day in this lesser-known wine region (by comparison to the Barossa and McLaren Vale), which has become a honeypot for young chefs and winemakers interested in local produce and natural wines. We recommend lunch at the Summertown Aristologist, where local produce is king, everything is made on site (including the bread, butter and charcuterie), and the wine list includes boutique labels Lucy Margaux and Commune of Buttons. For dinner, pop one town over to Uraidla and the tiny converted church of Lost in a Forest – a low-key, high-quality pizza and natural-wine joint that made the town a destination. They call March in Adelaide ‘mad’, but don’t be deterred: this is the time to go. Besides the amazing weather, literally everything good – culturally speaking – happens at once. If you like your art epic and Eurocentric, you need to book tickets asap for Neil Armfield and Rachel Healey’s 2018 program. Last year, Barrie Kosky’s opera Saul had sold out by December 6. This year’s headliner, Armfield’s production of Brett Dean’s opera Hamlet, seems likely to follow suit. 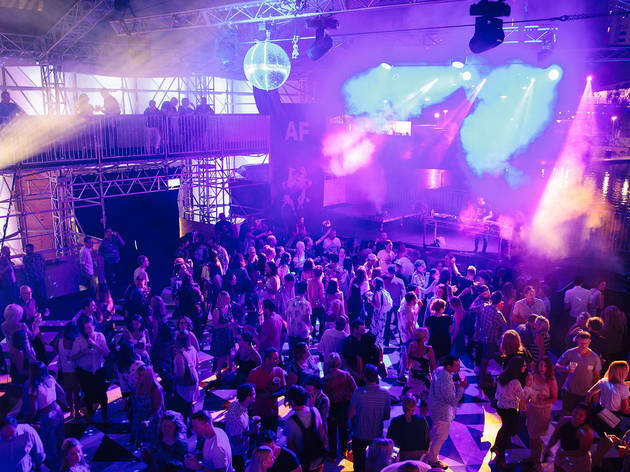 In Australia, this is the one Fringe to rule them all: it’s massive, it’s high quality, and it brings the best Fringe theatre, cabaret and circus from around the world. The result is a buzz on the streets that’s both irrepressible and irresistible. 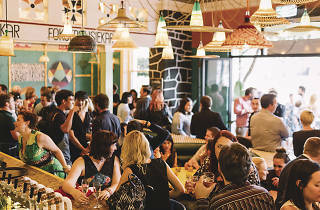 Head to the Garden of Unearthly Delights precinct for a bite to eat and a drink, then take a punt on a show based on whichever spruiker you like best. You will not be disappointed. It’s not only Australia’s oldest writers’ festival, it’s also now our largest free literary festival. 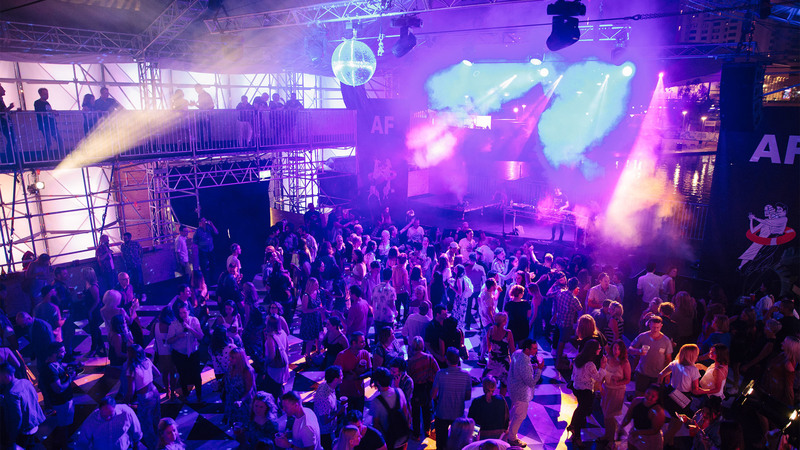 Add the picturesque location on the banks of the River Torrens, and a line-up that in 2017 hosted heavy-hitters like American feminist Lindy West, political writer Thomas Frank and novelist Jane Smiley, and you gotta wish Sydney did it like this. As festivals proliferate, this remains one of the few offerings that’s both top flight and diverse, with white male acts a miraculous minority. The line-up is only part of Womad’s success, however – and you don’t need to enjoy world music to have a good time. The real X factor is the vibe: thoroughly chilled out and friendly – about what you’d expect for a festival where under-12s get in free. 1. Adelaide was founded in 1836 by British colonists, on the lands of the Kaurna people; the lands on which the CBD now sits were called Tandanya. 2. It was a free settlement, without convicts. Because they declared freedom of religion, it became a desirable location for Lutherans and other religious denominations to settle – which is why it’s called ‘City of Churches’. 3. The persisting pockets of Bavarian culture, such as Hahndorf, and the Germanic name of many families and wineries, reflects the early settlement of 500 Lutherans, by agreement of a Captain Hahn – who negotiated for them to live rent-free for a year. 4. The area around Adelaide – the Barossa, Adelaide Hills and McLaren Vale – produces half of all Australia’s wine. 5. Adelaide has had a huge influence on Australia’s food culture, thanks to individual chefs like Phillip Searle, Mark Best, Christine Mansfield, Maggie Beer, and Cheong Liew. As much as the city has its perks, there’s really nothing like ditching the nine to five and hitting the road. Armed with a tank full of petrol (or a topped-up Opal card), you’ll be surprised how far your dollar can stretch outside the big city.